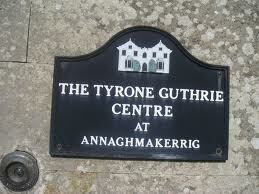 Here I am in Ireland, at the Tyrone Guthrie Centre, a renowned, creative residential retreat on the shores of beautiful Lake Annaghmakerrig. The magical Victorian Big House, as it’s affectionately known, sleeps eleven people. Over the years, outbuildings and barnyards have been converted into further workspaces and studios, so that there is plenty of space for artists of all kinds. 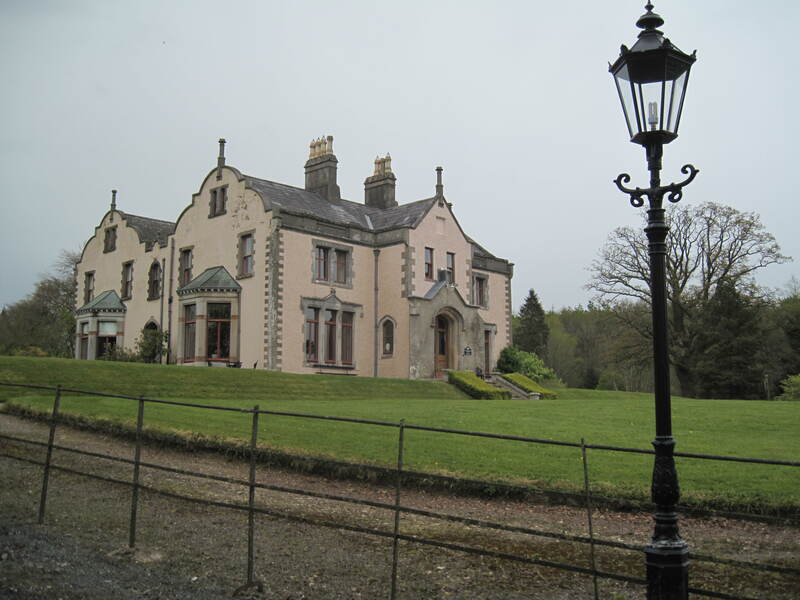 Composers and playwrights, painters and poets, novelists and film makers – they all come together at the Tyrone Guthrie Centre. The only rule is that you attend dinner each night in the grand dining room, along with your fellow artists. I’m on the first floor in a spacious room named after John Jordan. Jordan (1930-88) was a writer, poet, lecturer, broadcaster and man-of-letters in the Dublin of his day. The room is elegance personified, and overlooks the lake. It’s easy to write here, surrounded by so much beauty and history. Unfortunately the first few days of my stay were marred by a very modern problem. Flanagan, my HP Folio Ultrabook bought especially for the trip, packed up on the second day. HP support diagnosed a faulty motherboard over the phone. It was still under warrantty, being only four weeks old and I supposed If I could get it to Dublin, their technicians could repair it. No dice. That apparently would void the warranty, so I have to lug this useless thing back to Australia with me and get it fixed there. Two days writing lost and some frayed nerves, but thanks to Dropbox, I could retrieve most of my manuscript. I made the six hour round trip into Dublin yesterday to buy a new laptop (Paddy) that I could ill afford. When Flanagan gets fixed I’m selling him. Some false friend he turned out to be. Anybody in the market for a cheap HP Ultrabook still under warranty? They’re great for travelling apparently! Nina was born in 1984 in Athens. She took drawing and music lessons from an early age, and attended the musical high school of Pallini in Greece, with the piano as her instrument. Then she decided that painting was what she really wanted to do. She studied Fine Arts at the University of Ioannina, and completed successfully her Masters in Fine Arts at the University for the Creative Arts in Kent. Nina has travelled in England, Ireland, France, Italy and Spain and she speaks fluent Greek, French and English. She has participated in exhibitions in Greece and UK. At the moment she is attending a residency in Tyrone Guthrie Centre in Ireland in order to create a series of paintings. 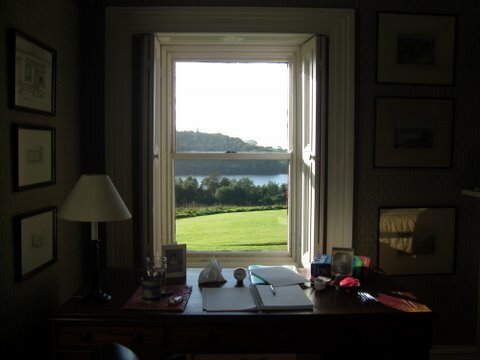 This entry was posted in Other, Writing and tagged Dropbox, HP Folio Ultrabook, International Writing Residencies, Ireland, Tyrone Guthrie Centre by jenniferscoullar. Bookmark the permalink. Ugh 🙁 Losing the laptop like that would make me fume with anger for days! Lucky you have such a serene and lovely place in which to ‘recuperate’. Don’t worry, I did fume – and rage and feel sorry for myself. But in the end, when there’s nothing you can do, you just have to let it go. And yes, I have a perfect place to recover! How are things? Where are you living now? They are going all well, I live and work in Dublin now!And you,are you back to Australia? Living and working in Dublin? Wonderful! I hope you have a lovely place far from Upper Abbey St. Yes, I’m back in Australia and trying to finish my new book by an October 3rd deadline. Yes,I made it..and things go better every day here except from the weather in Ireland! I am painting a lot which is good. I wish you the best with the book,I would love to read it! Brumby’s Run is available from Kobo, Amazon or Itunes as an ebook, or from Booktopia as a print version. Thank you!will look for it!